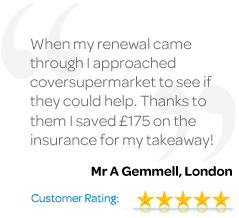 CoverSupermarket.co.uk offer specialist insurance policies for hairdressing salon's from just £265. Let us take the stress out of your hairdressing salon insurance, compare the cheapest quotes in just 5 minutes, buy online & print documentation for instant cover! What Does Hairdressing Salon Insurance Cover? Get a free, no obligation quote now. It takes just 5 minutes & could save you up to 50% on your current hairdressing salon insurance premiums. Shop & Retail Insurance Types Bakery Insurance Bridal Shop Insurance Computer Shop Insurance Butchers Insurance Florists Insurance Gift Shop Insurance Hairdresser Salon Insurance Beauty Salon Insurance Mobile Phone Shop Insurance Furniture Shop Insurance Opticians Insurance All Other Shop Types Please select an item.